HCPT 101: £170 raised at Bentley Bonanza! Group 101 had a great day of fundraising today, a total of £170 was raised selling cakes at Bentley Bonanza. 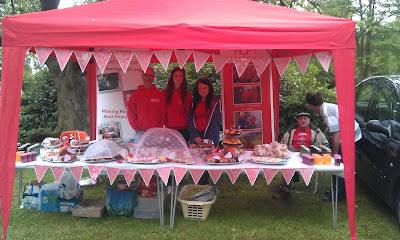 Many thanks to everyone who baked for us, or who helped on the day, and to those who bought the cakes. Your efforts will help us to help children from Doncaster with special needs have a fabulous holiday.